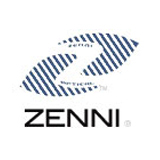 Zenni Optical $6.95 Prescription Eyeglasses are available with Shipping is $4.95. Tax in most states. Receive Free Anti-Scratch Coating, Full UV Protection, Thin & Light Single Vision Lens, Protective Case and Microfiber Cleaning Cloth with All Glasses Purchases.